It has been around a half a year in the making, but I'm thrilled to finally be able to announce that Twigs & Honey is now being carried at BHLDN (the weddings line for Anthropologie)! If you know me, you know I'm horrible at keeping secrets but I had been dropping a few hints as the launch date got closer. 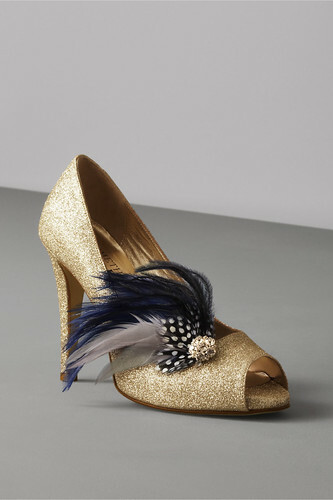 And what's this... not just one but two styles in two different color ways are at BHLDN right now! Exciting! For the Peony Hairpins, I hand curled every single feather in every piece (yes, thousands of feathers!). The grey version I hand dyed the feathers to achieve that lovely smokey, soft grey. It was quite the project! 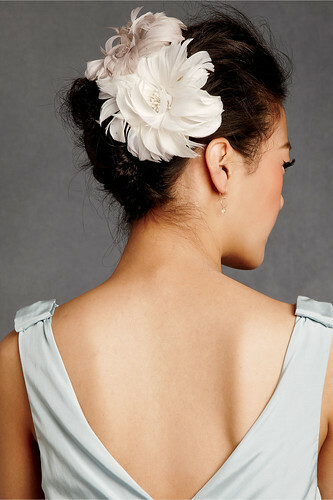 The Peony Hairpins were a customized design modified from our popular "Flourish" double feather flower. 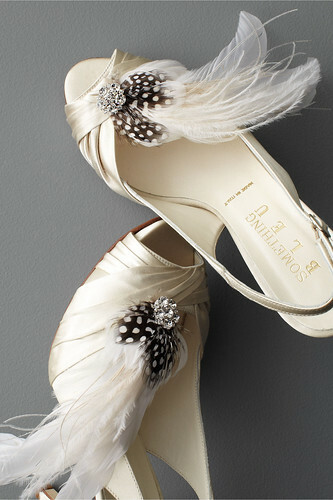 For the Festooned Shoe Clips, I handmade each one from several types of feathers. 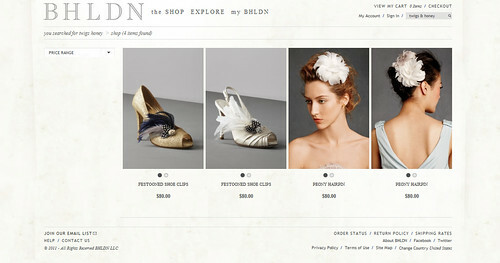 The design is brand new and specially designed for BHLDN. The blue feathers I custom hand dyed based off a swatch to match perfectly with some of the dresses in the BHLDN line. The rhinestone ornamentation and clip backings were all individually hand stitched. A really massive undertaking! Sore fingers, check! A special THANK YOU to the team at BHLDN!! 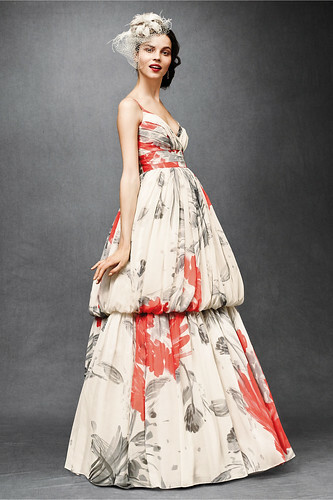 It has been so great to work with BHLDN!